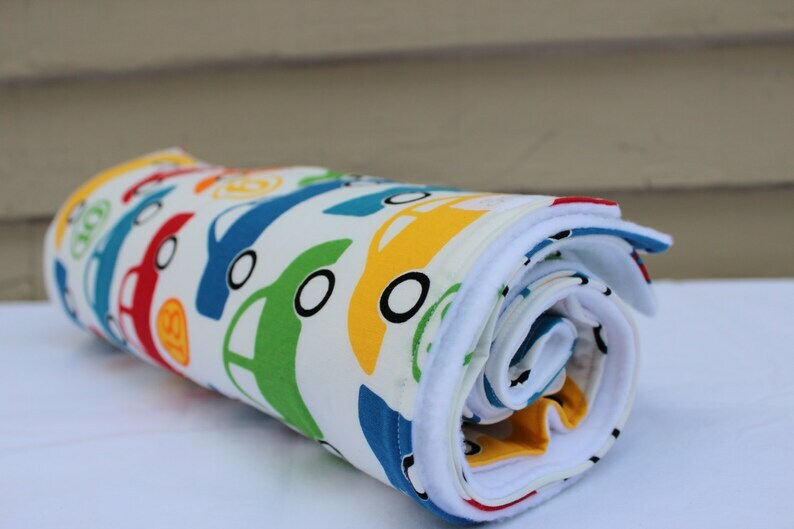 Baby/toddler blanket made with 100% cotton fabric lined with anti pill fleece. Perfect for tummy time or as a stroller or nap blanket. All blankets are handmade. Blanket measures approximately 35" by 27"
Care instructions: machine wash cold, tumble dry low, do not iron on fleece side.